Just wanted to say thank you for a great time. My husband and I both enjoyed it very much. Couldn’t have asked for better weather!! I have attached a picture of me and my first bass ever. I am so proud and have sent this picture to a ton of friends!! 🙂 We will be contacting you again and will also give your name to friends of ours who love to fish. Thanks again for my first bass! Oh, and don’t forget……………I caught 5 and hubby only caught 4. YAYYY FOR ME!!! Thank you for your guide today. I & My son ( Atsushi ) had realy enjoyed Big Bass fishing . We will also check your Web site to watch our video . 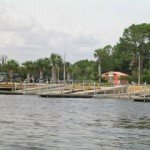 I read a bunch of your reports for John’s Lake. This past Friday was the first time I ever fished it, I normally fish the West Coast….Rousseau, rainbow river, Withlacoochee etc. Anyway, I own my own bait company and have written many articles for various publications, as well as did a few TV shows over the years. Johns lake is a really nice looking place. It is similar to all the water i fish, every spot just looks so good, you’d think it should have fish everywhere….but, we all no it doesn’t. Any way we found them just before the Deer Island cut through, on the East shoreline and we followed it south in 10 to 12 ft. Lucky Craft LV 100’s in Ayu and LV500’s in aurora gold did the trick. No big fish but we got a few 2lbers. The docks and shallows were dead, the hump just as you get into the horseshoe produced a few small fish. I got a 10lb channel cat on a LV500 and took a few pickeral on a Spit n Image. Thanks for your help directing me to a game plan. I wanted to thank you for the advice you post on the website. I moved to Florida about a year ago. I get on the water about twice a week. 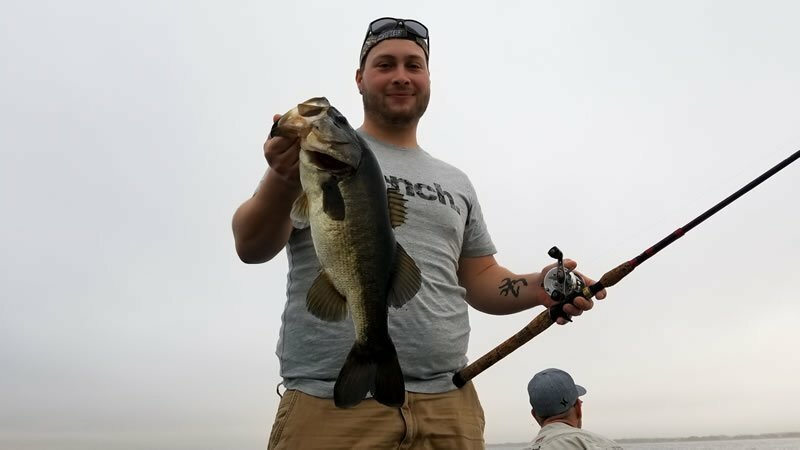 I have been fairly successful catching bass and specks on John’s Lake and the Clermont Chain but never had a day like I did this past Saturday after reading your posting. I prefer crankbait fishing. When I saw your posting about John’s Lake and using steel shads I ordered a few. I went out from sunrise to about 11 am. Caught over 30 bass, including one that was 8lbs. I even caught a 7lb grass pickeral. 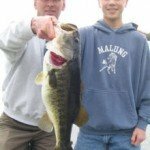 Thanks again for the HONOR to have gone fishing with you and to be on your website Tim! !